Thanks to our association with Contractor’s Coach Paul Sanneman, we’ve had the opportunity to complete multiple websites for general contractors in San Francisco and around the US. 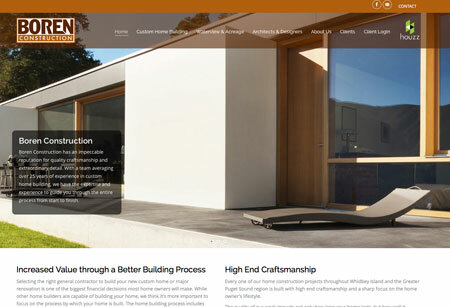 These websites are geared to contractors who are building relationships with architects and attracting projects from Houzz. Houzz sets a high bar for photography; Homeowners and architects now expect gorgeous home photos that are expertly staged and professionally lighted. 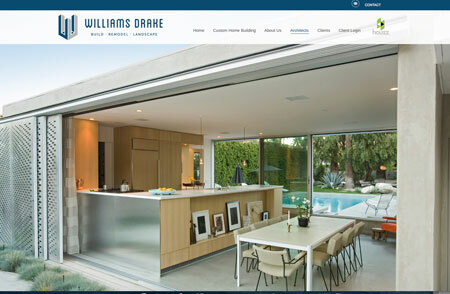 1) High Impact Photos: On each of these 3 general contractor websites, the images fill the entire screen for a high impact look. The logos and navigation are located in a clean, minimalist banner that doesn’t compete with the photos. Text is kept clean by locating it in two short columns and maintaining this same formatting throughout the site. 2) Photo Galleries: When you visit the photo galleries, you’ll see big, beautiful thumbnails that no longer qualify as thumbnails. These images are more like the size of a business card. Such an improvement over galleries of the recent past with their itty, bitty, postage stamp size photos. 3) Houzz Logo: Houzz is a popular online tool for many homeowners. Therefore the design includes the Houzz logo prominently in the navigation bar to emphasize the association and to encourage homeowners to read the reviews there. 4) Stand Out Testimonials Page: The testimonial page receives many compliments from our clients. The background image and the colored boxes makes the page more graphically interesting and textural than standard testimonial pages. 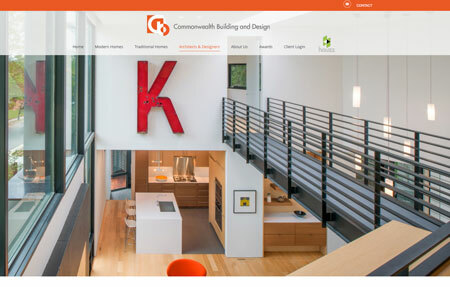 These four features: large high quality photos, large format galleries, the Houzz logo and a stand out testimonials page all help you, the general contractor, stand out to architects and homeowners alike. They convey the hallmarks of great contemporary style! If you’d like to discuss building a general contractors website, please contact Karen of Full Orbit Web and Marketing Services at 510-527-9920. Karen and her team have worked with more than a dozen custom home builders and have considerable knowledge about how you can leverage your best work to get larger projects from architects.